Paisley Belle’s vaccination tags | That Belongs in a Museum! 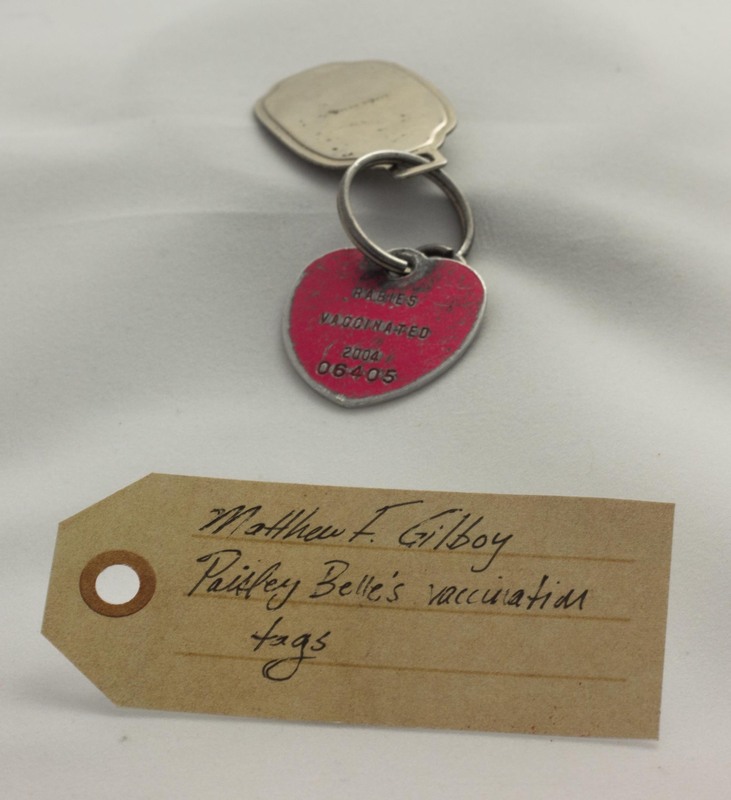 This is a tag that I got for my dog Paisley Belle…the other tag…used to say “epilepsy”. The thing I like about this particular object…is that Paisley Belle…turned out to be a seizure dog…She just happened to be able to predict that I was going to have a seizure; she would run and get any other humans in the house that might be able to help me when I started having a seizure, and she was frequently the animal that was…trying to get me up by licking my face. In 2006 my life kind of just went off the rails and I ended up moving to Columbus, Ohio and I didn’t know what was ahead of me…and I had to give [Paisley Belle] away….and whenever anything is just terrible, I always think of looking her up.